Whether you’re leasing an office for several employees or running a business from home and you simply want an additional phone line, choosing a small business phone service is a big decision. That’s not because it’s likely to be your biggest expense, but because it’s potentially a decision you’ll be stuck with for a while depending on your phone company’s contract. Do you really need a full-service package? – If you only work with local clients, it might save you money to sign up for a small business phone service tailored to local or regional calls. You’ll pay extra for long-distance calls, but you save money in the end over a package featuring unlimited long distance. Do you only need phone services? – Many small business phone services these days offer much more than calling services. For example, you can get business voicemail for each of your employees, DSL if you want to get Internet service through the same company, and even television services to compete with cable (while it might not apply to many small businesses, you might want to consider it for an employee break room). Is VoIP an option? 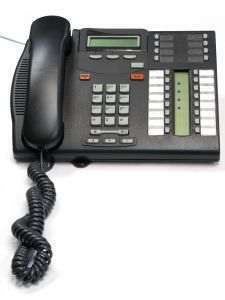 – VoIP (voice over Internet protocol) telephone services operate through your Internet connection. VoIP phone services can save money on your monthly bill, but the quality of the calls might be slightly less predictable (and it won’t be available in all areas). Another benefit is that you can use a VoIP phone service to get a phone number in a different location (such as a nearby metropolitan area where many of your customers are as opposed to a number in your small suburb). Do you need a toll-free number? – If you expect to receive a large volume of phone calls from customers or prospective customers, you might want to have a toll-free number available to them (especially if you’re asking your leads to call you instead of vice versa). With a toll-free number, you pay for the incoming calls, but the calls are free to your customers. What kind of in-office phone services do you need? – Forget about making outgoing calls for a minute. Do your employees need to be able to reach each other easily internally? If so, you’ll need to make sure your small business phone service is equipped with adequate extension, intercom, or other capabilities to help employees keep in touch. Do you need business mobile phone services? – You can either have typical small business land line services and additional mobile phone services for employees, or you could operate on a strictly mobile phone basis. Going all-mobile could be a good solution for a home-based business if you don’t want to have a second phone line installed (or if you rent and aren’t allowed to have another phone line installed). Will your business expand? – Even if you’re starting out with just one or two employees, think about the foreseeable future. Will the phone company you’re considering now be able to provide the services you’ll need when your team expands, or will you be stuck shopping for a new small business phone service all over again? What kind of technical support is available? – A small local phone company could be worse than a larger phone company when it comes to technical support, because they might have fewer support reps available. Then again, if your larger area phone company is known for less-than-ideal customer service wait times (which isn’t unusual), a smaller company might cater more to your needs. Look for a phone company that offers dedicated support staff for business customers, so you don’t have to compete for their time with residential customers as well. Do you need to choose your own phone number? – While many telephone companies will allow you to choose your own phone number for your business (from available numbers obviously), some smaller phone companies might not. If you need a vanity number so you can market the phone number more easily (think of 1-800-FLOWERS as an example), you might want to make sure you’ll have the option to choose your own number. Do you need access to call recording? – Not all telephone companies will offer you access to call recording for your business. In those cases you would have to rely on a third party system, or hardware, to record your business calls. Either way, if you plan to record business phone calls, review your state law first. Laws vary across the U.S. — in some states both parties must know and accept that the call is being recorded for it to be legal, and in other states only one party (your business for example) has to be aware. Call recording can be a valuable service though for anyone from writers (who might want to record interviews for news stories) to any kind of customer service call center. Here’s one last thing to consider: If you work independently or have a small staff, and you know you won’t be able to handle all incoming calls yourself, you might want to look into outsourcing some or all of your calls to an answering service company. Their reps will take your calls for you (even if only when your own line is busy or if it’s after-hours), and pass along any messages to you. 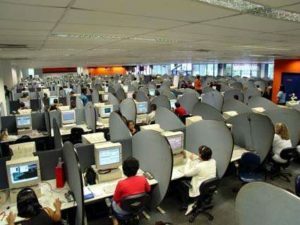 You can even outsource full call centers if you need to (an option if you’re running a small company selling products to consumers for example). On the surface, all small business phone services can start to look alike. The best way to choose the right one for your own business is to write down a checklist of all of the features your business needs and wants, as well as your budget. Then review the plans from phone service providers in your area side-by-side, checking off the features from your list that they do and don’t have. With any luck, you’ll find at least one phone company that can give you what you need within your budget. Innovative Advertising: Moving Picture Newspapers For Real!